Looking for freelancing tools? 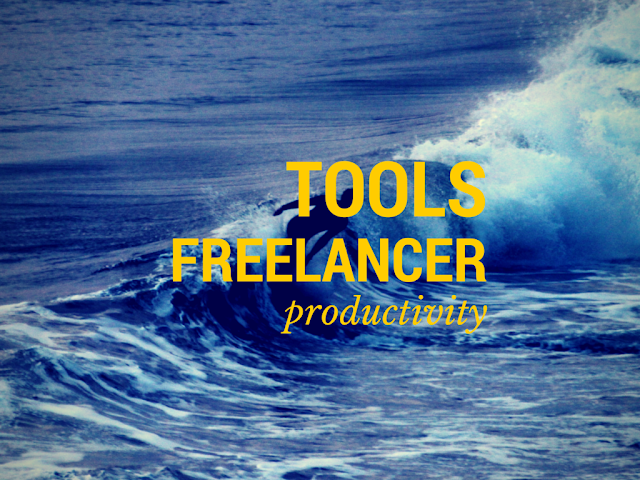 We have short listed tools for freelancers to be highly productive. Having best tools can save you a lot of time and money when you deal with critical deadlines from your customers. Invoicera is a multi-functional tool that caters to the various needs of freelancers. One can use this tool for organizing and prioritizing tasks, managing expenses, receive payments quicker and much more. It’s flexible user interface makes invoicing easy for everyone. It allows it’s user to send attractive and professional online invoices and helps them get paid faster. Invoicera also has an unique task, project and time management feature that helps the user to improve productivity. Google Drive makes sharing of documents easy for freelancers. It allows to store, create, and share the documents with anyone with their gmail account irrespective. This cloud app makes it simple to access the file from anywhere, even on a mobile device. It makes processes faster and simpler. Google Drive also provides an online data backup to its users, which can be very helpful in case of technical glitches. Having a great relationship with your customer is the key requirement for the success of your business. Streak is an effective CRM tool that can be useful for freelancers and SMEs. It integrates itself with your gmail account, categorizes the emails and helps in improving keep in touch with leads and prospects. Streak also manages deals, support and tracks emails. It’s easy installation and flexible structure makes it easy to use for everyone. Signing documents that come via mail is very time consuming. HelloSign makes the process easier. It eliminates the need of downloading, scanning and uploading the document and allows the user to sign it directly on gmail. It makes the whole process much faster. Moreover, it automatically backs up all the signed documents in HelloSign account so they can be used later, if needed. Skype is well known app for communication. It is free to use chat and video/audio calls. Freelancers can use this app to connect with their clients for free. They can use it’s video calling feature to cut down their non-essential business travel and have a face to face meeting with single or multiple clients at once. Skype helps in reducing call costs and increase profitability of a business. Sending out regular e-mail campaigns is important to stay in touch with the customers. Mailchimp makes it very simple. It allows its users to schedule e-mailers as well as use predesigned templates. Mailchimp offers a detailed report of the sent e-mailers to track the recipient responses and analyze results. High quality graphics are important for the effective promotion of a business, but creating them may cost plenty of time and money. Canva provides simple solutions for your business design needs. It’s easy customization and drag and drop feature makes the editing a hassle free process and fulfills the user’s graphical requirements. Staying active on social media is necessary for a business, but regular posting may take away a major part of the day. Hootsuite solves this problem by providing easy content propagation. It allows its users to schedule posts on all social media accounts in one go and eliminates the stress of daily update. Every business should know the level of its web presence and should have a clear information of how many people are engaging with their posts. Pocket Analytics collects all such data from multiple accounts and makes it easy to analyze the overall growth. Staying updated with the latest in your field can be very fruitful for increasing productivity. Feedly helps freelancers by keeping them up to date about trending topics in their field. It saves time of the user and shows only the related and necessary content. Tools are must for every freelancer to get ahead and move to the next level. Constantly looking out for newer tools is also essential for success.